The body of the 39-year-old was found at her home in Musselburgh, more than 12 hours after the Area Control Room (ACR) at Bilston Glen first received the call from the concerned relative. A report by the Police Investigations & Review Commissioner (PIRC) has found that police should have been sent sooner to her property after a call from a concerned family member about her welfare was categorised as a priority. The report, published today, found that it could not be determined whether the woman’s death could have been prevented if an effective search of the property had taken place earlier. The cause of death was determined as Alcoholic Ketoacidosis. The report said that a family member contacted Police Scotland at about 1.55pm on May, 8 2018 to report concern for the woman as she had not been seen or heard from since May, 5 2018. The family member reported that the woman was on Police Scotland’s interim Vulnerable Person Database. The report read: “The call was identified as a Grade 2 call which requires ACR staff to make every effort to allocate resources to the call within 15 minutes of it being received by the ACR. However, no resources were available at that time as police were dealing with other priority incidents. “By 5pm, no one had been sent to the woman’s house so a police sergeant went to the address on his own initiative but did not get any response. Meanwhile. the family member who made the initial call and the Social Work Department had provided more information about the woman’s wellbeing. The incident was then declared as a Missing Person Enquiry. Other police officers were sent to the address and after carrying out a search, they found the woman’s body in a cupboard next to the front door at 2.30am on May, 9 2018. 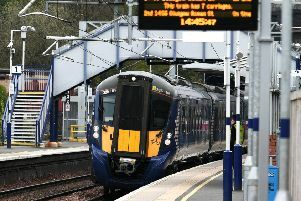 The incident was referred by Police Scotland to the PIRC on May, 9 2018. The investigation focused on Police Scotland’s handling of the incident, the decision making processes relating to family concerns for the woman’s welfare and the subsequent action taken. The Commissioner made a number of recommendations, including that Police Scotland should look again at the commitment it made to review “resource allocation and call handling issues”, which it provided in response to a previous PIRC investigation in 2016.